This step is only required for Deployment Systems with Linux build environment. 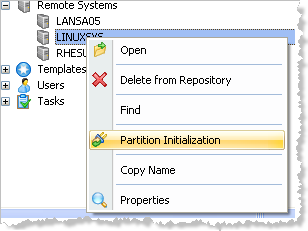 Right click on the Remote System in the Repository tab and choose Partition Initialization, then select the appropriate checkboxes and press Okay. If you are deploying web applications ensure the partition is enabled for the web. When starting a connection to a remote system, the Visual LANSA Editor attempts to use the same login used for the Visual LANSA session. If this does not connect successfully, a connection dialog will prompt for the connection details. This will occur the first time Deliver To is used for a Remote System and every time a joblog is reviewed on a remote system. 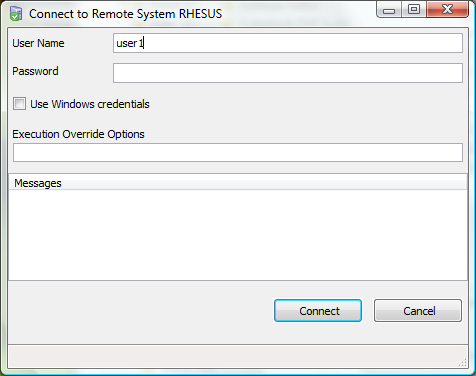 The user be defaulted to the last user to connect to a remote system on the connection dialog.